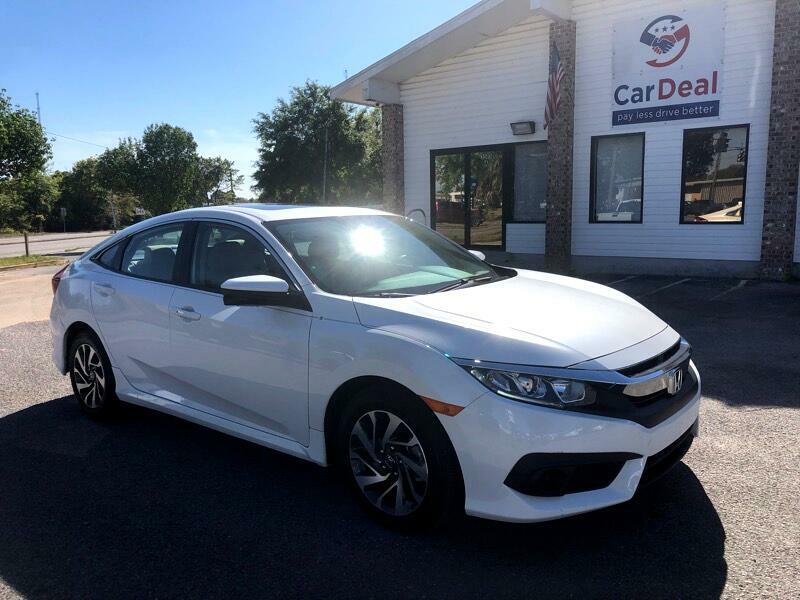 2018 Honda Civic EX comes with 2.0-liter four-cylinder engine (158 horsepower, 138 lb-ft of torque), a CVT transmission, alloy wheels, LED running lights, 60/40-split folding rear seatbacks, automatic climate control and a height-adjustable driver seat, a sunroof, heated side mirrors, a rear center armrest with cupholders, Electronics features include a eight-speaker audio system with dual USB ports, Honda's LaneWatch blind-spot camera, dynamic guidelines for the rearview camera, keyless ignition and entry with remote start, and a 7-inch touchscreen interface with satellite radio, HondaLink, and Apple CarPlay and Android Auto integration (including app-based Navigation). We provide free full coverage warranty! Military and student discount!